Lake Como hotels are designed to suit the needs of every kind of traveler…from the luxury-seeker to the bargain hunter. Let’s say you’re curious about Bellagio. Just click on the Bellagio link at the bottom of this page to go to a complete listing of hotels for that area. Choose a city or click on a dot from one of the names below and then click on the link at the top of that page to view the video about that city in Lake Como, Italy. If you feel a spark of excitement then scroll down to see the list of accommodations there. After choosing a city, you will be able to sort out and find your favorite Lake Como hotels based on popularity, price range in Euros, size, location and reviews. See the legend below for more details. Also, if a hotel is bookable online, you will see a Check Rates button. Note: A new window will open up showing you which Lake Como hotels are available for your chosen dates while comparing the rates of the top booking providers on the net…ensuring you’ll find the absolute best deal out there! Dates. Choose your arrival and departure dates to see what is available. Your search results will display SOLD-OUT hotels in any case. Location. Click location on your results page to arrange your hotels according to how close you want to be to the center. Price. Click price to arrange your hotels from low-high or high-low. Consumer Rating. Click on rating to arrange your hotels based on how well past guests of the hotel have rated their stay. Popularity. Click on popularity to arrange your hotels based on what sells out the fastest. Currency. Choose your desired currency. Traveling with your entire family or with a group of friends? Consider booking an apartment of even a whole villa for the duration of your stay! We have over 60 beautiful Lake Como apartments and villas you can choose from to save you money and time while enabling you to enjoy that comfy home-like environment for a truly peaceful, enjoyable vacation. After using Option 1 – Browse to browse through the various Lake Como hotels, you will be able to click the Select button at the bottom of a listing to verify its price and availability securely online. Be sure to book your Lake Como hotel using this Select button to take advantage of our special internet discount rates. You will be taken to another page that will allow you to confirm your exact dates of travel. Then its simply a matter of typing in your contact information, payment details, printing our your confirmation, and arriving happily at your chosen hotel with your confirmation and passport in hand. Location Is it on the lake? Is there a nice view of the lake? How far is it from the main road? How far is it from the city centre? Reviews You can read about our experiences and the experiences of other guests who have already stayed there. The real deal, actual experiences! With this 3-step approach you can enjoy peace of mind, knowing that you will make the best possible choice in price and location and ensuring that you’ll have a great stay. For some added inspiration, click here to take a motorcycle ride with George Clooney throughout the lake. Italian hospitality is definitely something to look forward to – even the actor himself will agree! Why Go Now? 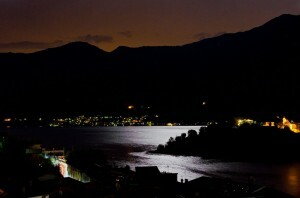 is also an interesting article, which covers a few interesting places to stay in Lake Como. 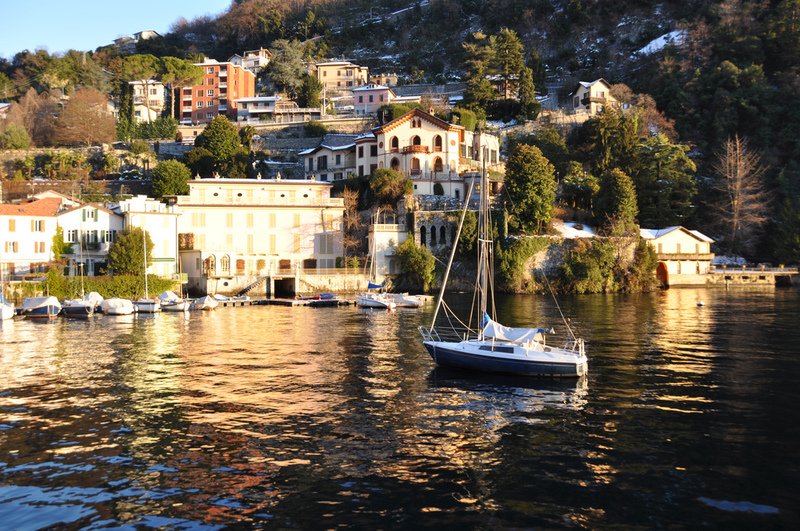 In order to provide you with relevant and up-to-date information, Como Guide may receive a small commission should you wish to reserve Lake Como hotels from a provider. Please remember to double-check hotel details before reserving and to perform due-diligence when purchasing from any website. Click here for more information. If you’ve read even a few pages of our site, you’ll no doubt agree that it seems to be a fascinating, adventuresome spot to come and see! Especially with so many 5 star all inclusive resorts or rental villas located on the shore. 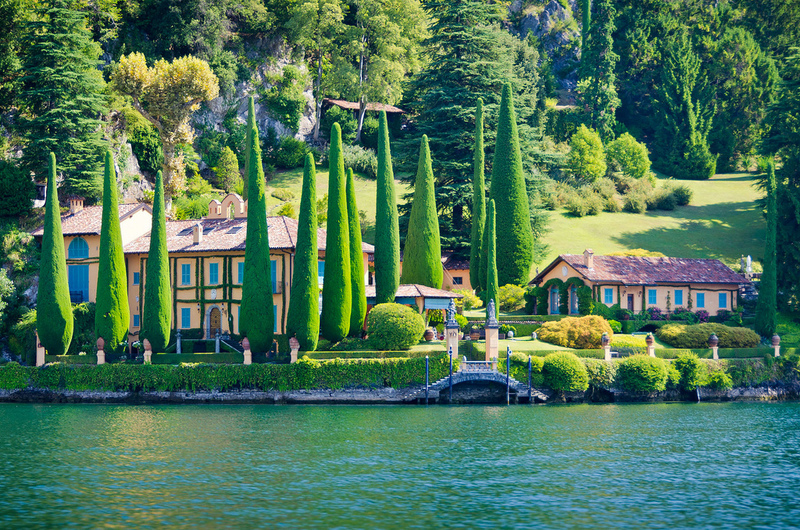 No matter what your taste, Lake Como has it. There are a few hostels sprinkled around the lake, the most famous being the one in Menaggio which offer just as spectacular views as any of the five star hotels such as Villa D’Este, Villa Serbelloni or the one in Tremezzo. OK, that may be pushing it a bit, but Lake Como is just so picturesque from many different viewpoints. It’s ‘Y’ contour starts with Colico in the North along with the townships of Como and Lecco in the south generating the beginning of two branches. The lake flows out at Colico and Lecco commencing with the Adda river located in the North. There’s a wonderful boat service that runs throughout the inter sections producing a wonderful foundation to research the stunning scene. 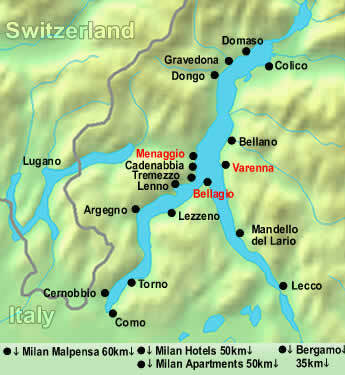 Lake Como is about 40km from Milano to the South and just a couple of minutes in the Swiss Edge. Wherever you may choose to stay, you will not be disappointed. The western coast of Lake Como itself spans an area covering over 1200 square kilometers. Nevertheless, its little extensions inwards toward the mountains may stun the visitor even more with its distinct surroundings, landscapes and small towns. In just a few kilometers in any direction you might discover the mountains as well as the lake, the wild Alps valleys and the industrial section of Brianza, the city area of Como and hamlets of a few properties, the fauna oasis in the north and the ski places in the south. A long-established reputable firm is generally the best option in regards to finding low-priced vacation rentals and do not be scared to inquire how long the business or individual owner has been doing holiday rental properties in that place. If you’re looking at the southern Lake Como region, for instance, check out companies that have both been with US or UK for around 15 years. When you-go straight to individual possessors, you can’t understand if the property actually exists and whether the graphics are true. A reputable firm will check these for you before they list their rentals. 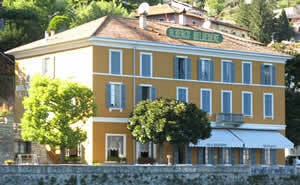 Our stays at Lake Como Italy hotels have generally very comfortable and pleasant. Here are a few of our comments to help you fully enjoy your stay. Some visitors from North America to Italian hotels, have noticed that matresses tend to be harder, and the A/C’s are not always the most modern and smoothly functioning. Italy can have its fair share of problems but they will almost never ruin your holiday. Many of the older hotels are often in need of renovations as any house would be when it reaches a certain age and if you find a room you don’t like, always try to ask the manager for something better. Remember, Lake Como has been a resort place for centuries, so some buildings are over a hundred years old! 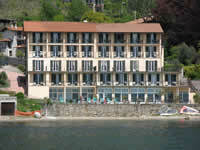 Each Lake Como, Italy hotel has different kinds of rooms at different prices. You might want to ask at the desk what kinds of rooms are available, because the size may vary considerably. Also, consider whether you want a room facing the street (usually very noisy) or a room facing an interior patio. At some places you might want to go up and look at the room before you agree to take it. If it is "off-season" you can sometimes negotiate for a better price. Mix ups at hotels are not frequent, but they can happen. Sometimes, it is because Italians are not familiar with North American/English names. If you name is Jon Joseph Smith, for example, they may think that Joseph is your last name. Check to see if they have your reservation under your middle name. If you are going to be in a hotel for a few days, you can wait to tip until the last day of your stay. At that time, have a sum of money in Euros in separate envelopes, one for each person that you plan to tip. It is best to hand the money directly to the people you want to tip. If they are not available, ask the hotel manager what is the best way of making sure they get the money you want to leave for them. At 3-5 star hotels, you will probably find everything you need for your comfort in your hotel room. If you need something you don’t see, the bellman will usually be glad to get it or you. Most hotels will provide you with room service if you prefer to dine in your room. Call the front desk to ask for more information about it. Hotels in Italy are on a star system, this not like the star system in the US. A 4 star hotel, means they pass a check list of amenities. They have to have a lift, they have to have a 24-hour front desk and others services such as a bell boy. As long as your are friendly and courteous, you should expect the same in return. If is customary to tip the bellman when he shows you to your room. give him at least 1 Euro per bag, and more if he provides some extra service for you. Como Italy hotels are renowned for their excellent service, phenomenal locations, great food and ornate architecture. On top of this, Lake Como has a wide range of accommodations ranging from hostels to agriturismos all the way to 5-star resorts, so most tourists are sure to find something that will match their needs. Italy ‘s intimate Lake District is famous for its Renaissance palaces, its alpine summits towering over pristine lakes and its scenic hamlets lying in the periphery of the snow capped Alps in the north of Italy. Lake Garda may be much larger than Lake Como, while other lakes in this region are much smaller, but no other lake beats Lake Como when it comes to creating an air of intimacy and having so many jaw-dropping, amazing opulent villas. Why Stay At Lake Como Italy Hotels? Lake Como’s shores are dotted with many enchanting hamlets and townships, intimate hamlets and palaces and fascinating gardens, spas and other vacation resorts. The amorous aura of the lakes, the magnificence of the mountains, the historical rural background, the superiority of winemaking, artwork and superior cuisine make the Lake District in Italy a ideal spot to observe your Nuptials in Italy! Add to this a relatively mild climate and you have grounds for a stunning Italy vacation. When staying at 5-star hotels such as Villa Serbelloni or the mercurial Villa D’Este, do take into consideration ordering some room service. What better way to experience a late-night meal with that special someone? This service does come at the premium, but you can remain comfortable in your room while enjoying you eats. Find out about the fees you will have to make for a hotel transfer. Particularly if you are obtaining a reduction, the fee linked to the transfer might be high. Asking this beforehand will help to optimize your savings, as Italy has become notorious for inventing ‘fees’ on the fly when it comes to transportation services such as taxis, limos and the like. Don’t make long distance calls on your hotel phone. Instead, use the web. Skype connections can be found 99% of Lake Como hotels nowadays using Wi-Fi. With this instead of making expensive long-distance calls from the hotel phone, you are able to stay connected at a much more affordable rate. Almost all Como Italy hotels ask for your credit card in advance so be sure to never check out earlier than your scheduled departure unless it really is absolutely necessary. Some hotels charge a very large fee for early departure, usually the entire nightly rate of your unused nights. If you reserve a room for a set length of time but check out a day or two early, that hotel may charge a fee since they couldn’t book that room. Therefore, they must replace with the loss by charging an earlier departure fee on top of what you have already paid. A universal principle for all Como Italy hotels: To avoid wasting money, book far ahead of time. Should you book one or two months in advance, it is possible to obtain a discount. This way, you can save up to 50% – even on the most elite brands. If you’re traveling with kids, ensure that you review the pools to ensure they’re open and also in service. Your children can be very disappointed if you get to your hotel along with the pool is closed. Above all, send us your comments below regarding your most recent stay at Como Italy hotels so that you can help other prospective visitors with their holiday planning. Isola Comacina is the sole island located in Lake Como, where can you recall the warfare between Como and Milano? Well at that time the isle residents sided with Milano and there was a lot of hell to break loose. In the language of the then Bishop “No lengthier shall bells ring, no rock shall be put-on rock, no one shall be host, under discomfort of abnormal death.” At the beginning of World-War I, Isola Comacina was provided to the King of Belgium who contributed it to Italy after the warfare. It’s now home to many artists and scholars. There are no lake como hotels located here, but you can grab a ferry boat from the mainland and explore the island at your own leisure.